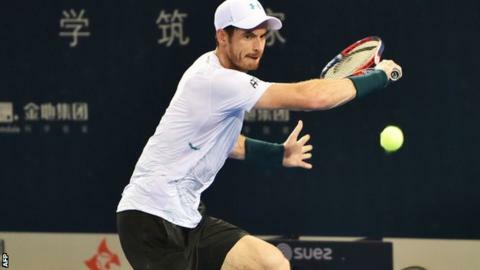 Andy Murray has opted to end his season after a straight-set defeat by Fernando Verdasco in the quarter-finals of the Shenzhen Open. Murray was due to play at the China Open in Beijing in October, but has a slight ankle issue. The 31-year-old has dropped to 311 in the world after almost a year out following a hip operation. He lost 6-4 6-4 to Spanish fifth seed Verdasco, who will meet Japan's Yoshihito Nishioka in the last four. Nishioka beat Murray's fellow Briton Cameron Norrie despite being ranked almost 100 places below the world number 73. Murray beat world number 11 David Goffin on Thursday to reach the quarter-finals and defeat his highest-ranked opponent since he returned to the Tour in June. It was Verdasco who beat Murray in the second round of the US Open and, with this victory in an hour and 39 minutes, the 34-year-old ended the Scot's sixth tournament of 2018. Alex de Minaur, the Australian 19-year-old, will meet Frenchman Pierre-Hugues Herbert in the other semi-final.